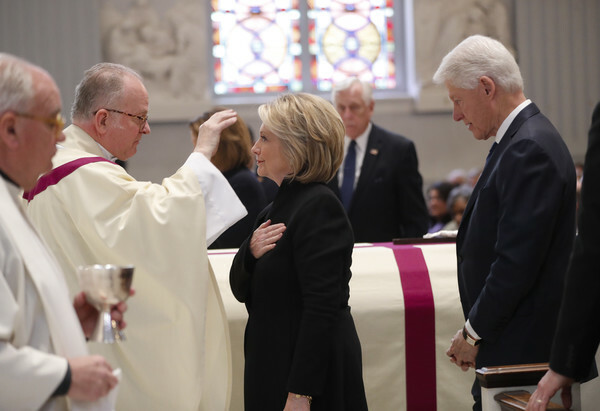 Former Secretary of State Hillary Clinton, center, receives a blessing from Rev. Patrick Conroy, left, as former President Bill Clinton, right, waits in line during funeral services for former Rep. John Dingell on February 14, 2019 at Holy Trinity Catholic Church in Washington, DC. Dingell, who represented southeast Michigan for 59 years in the House of Representatives, died last week at age 92.